Peppercorn Cottages is an ideal nature retreat. Two self contained cottages on a 400 acre cattle farm 8km east of Rylstone and 12km west of the pristine waters of Dunn's Swamp. Perfect for birdwatchers, cyclists, stargazers or for those who just want a rural retreat to escape the hustle and bustle of city life. 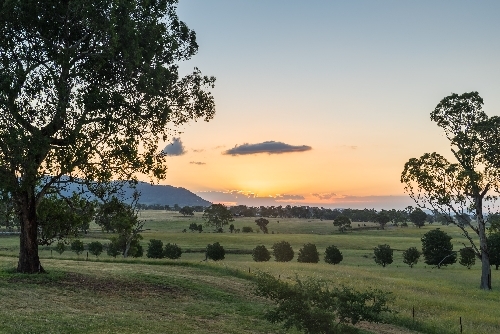 Peppercorn Cottages are in the heart of Rylstone wine country. Not too far from cooler climate cellar doors, De Beaurepaire Wines and Louee Wines and just under an hours drive to Mudgee. Peppercorn Cottages are newly built, fully self contained 2 bedroom abodes with large wide verandahs that stretch all around the front side. A beautiful setting for enjoying a glass of wine whilst watching the spectacular colourful sun set over the vast country views. Tripadvisor comments & reviews on our cottages.